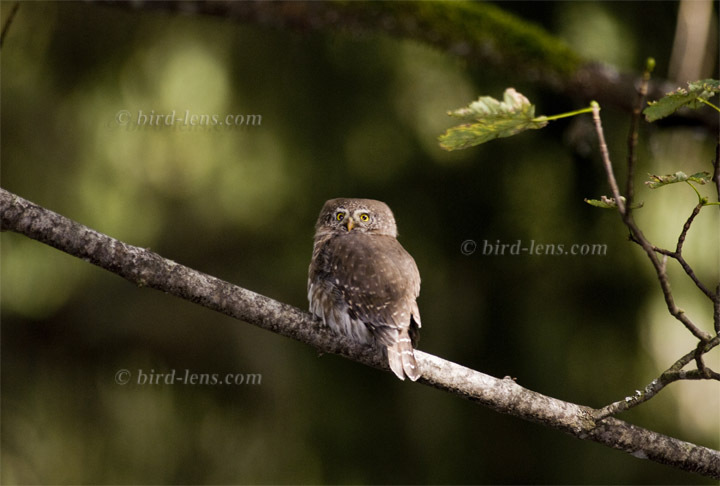 This small owl is the sole member in Europe of a worldwide spread genus Glaucidium. The owl inhabits mainly the coniferous forest zone, especially the upland and mountain areas up to the tree line in Central Europe. But in the 19th Century this owl was widespread distributed in all the mountain ranges of central Europe and their forelands and well represented in the North German / Polish lowlands at many locations. regular breeding native bird species but regarded as “rare”. In the last decades the population trend is positive, this is ture for the long term and at many sites for the short term, too. Additionally there are more and more records from the lowlands in recent years. A nearly comprehensive investigation in Niedersachsen (Lower Saxonia) in (2001/2002) resulted in a population count of 170-230 pairs. Particularly important here is the well established lowland population in the Lüneburger Heide (Heath), where the first records date back as far as 1977. Now (2001/2002) 23 – 35 pairs defend their territories. Brandenburg, one of the new federal states is much more influenced by continental climate than the western parts of the country like e.g. Frankfurt am Main. Moreover, this state is not very densely populated at the Polish border. A good reason to call some parts of the country a birds and birders paradise. 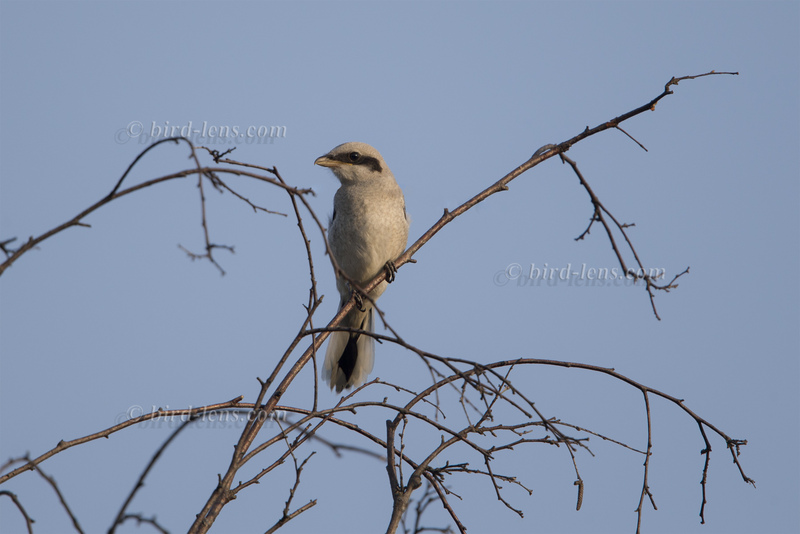 Breeding pairs of the rare Great Grey Shrike (Lanius excubitor) live here in the East in a good number The Shrike – also called the Northern Shrike – was the main reason for a trip to the east at the end of June. Now the Great Grey Shrikes have largely reared their brood and now take care of the (almost) fledglings. A disturbance of breeding is thus excluded. The feeding phase for the young should therefore be photographed. Especially in summer I often used go and photograph to the military training areas near Cologne, in particular at the Wahner Heide. The military training areas Reicherskreuzer Heide (Heath) and Lieberose Heide were unknown to me until then and should now be visited intensively for the first time. Actually what I was looking for were the Great Grey Shrikes and the Eurasian Nightjar (Caprimulgus europaeus). Besides the birds which could be seen in roughly one week, it was delighting to see the multitude of butterflies. In addition to large quantities of moths and butterflies like the Marbled White (Melanargia galathea) were tons of Calliptamus italic, a species of short-horned grasshoppers and Small Gold Grasshoppers (Euthystira brachyptera) that you can rarely see anywhere else like this.